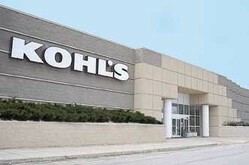 Based in Menomonee Falls, Wisconsin, Kohl’s is a family-focused, value-oriented specialty department store offering moderately priced national brand apparel, shoes, accessories and home products. Currently, Kohl’s operates stores and distribution centers in 38 states, and every year, we continue to build new stores in new states, working to reach our customers nationwide. As a company, we have identified a clear formula that will allow us to continue our success and our growth for years to come. At Kohl’s, we also strongly believe in supporting the communities we serve. As a Kohl’s Associate, you’ll be a part of an active commitment to improving health and educational opportunities for children in Kohl’s communities, as well as a dedication to others in need. As a family-focused, community-oriented department store, Kohl's dedicates our charitable efforts to improving health and educational opportunities for children through our four Kohl's Cares for Kids® programs. Kohl's Cares for Kids® is our way of supporting our customers, our communities and what matters most to you - improving the lives of children. Why a Career at Kohl's? You’ve read the headlines: “The fastest growing retailer in the nation.” We’re on the move.... into new states, new markets, and new communities across the country. Our expansion means unlimited opportunity for you. As we build new stores, you build your career. Kohl’s is committed to performance-based advancement, and we believe in challenging our employees to take on responsibility…and empowering them to make decisions. Our Associates are the reasons Kohl’s is so successful. So, to make your career as rewarding as possible, Kohl’s also offers a great benefit program including health, vision, dental, life insurance, 401K with corporate match, ESOP, paid vacation, etc.! We offer a variety of career opportunities at our Stores, Distribution Centers, or the Corporate Office. No matter where you’re from or where you plan to go, Kohl’s is the best career move you can make! Kohl’s Loss Prevention is a team of highly trained Associates dedicated to the prevention of losses and the promotion of safe working and shopping environments. Loss Prevention Associates throughout the organization are responsible for controlling loss through operational excellence, as well as theft resolution and deterrence. The Loss Prevention team is also committed to being strategic partners in building Kohl's business through our most valuable resource - its PEOPLE." Select, develop and retain the very best Associates. Promote quality through collaboration and teamwork. Create an environment that promotes accountability, involvement, diversity and high performance. Increase Associate commitment to the organization. Balance the demands of the business with the needs of our Associate. Responsible for the detection, apprehension, or deterrence of Customer and Associate activity that would otherwise result in a loss to Company assets. Assists in promoting and monitoring compliance to Company policies and procedures related to theft prevention, safety, and inventory control. Further promotes awareness and training within various areas of operational execution. Candidates must have strong written and verbal communication skills as well as the ability to work independently or in a team environment. Loss Prevention Supervisors are responsible for developing and implementing theft prevention and shortage control programs for the store. As an hourly Associate, the Supervisor reports directly to the District Loss Prevention Manager. Candidates must have strong written and verbal communication skills enabling them to develop partnerships with Store Executives and Associates allowing for heightened awareness to shortage causing issues. Further responsible for the direct supervision and training of Loss Prevention Officers. Hourly position reporting directly to the District Loss Prevention Manager. Independently audits for compliance to Company policies and procedures. Uses audit results to direct efforts toward further training and development needs of the Store Management and Associate teams on operational compliance. Candidates must be able to engage in difficult dialogue as well as develop working relationships with Store Executives and Associates. This salaried position reports directly to the District Loss Prevention Manager. The Loss Prevention manager works with the District Loss Prevention Manager to identify and correct loss related risks to the company involving theft, safety, inventory control, and operational compliance. Maintains direct ownership for 1-2 locations. Actively participates in the hiring and training of Loss Prevention Associates within their district. Salaried position reporting to the Regional Loss Prevention Manager. The DLPM is responsible for the identification of shortage causes and the development and execution of reduction plans. Directly responsible for the recruitment, training, and development of the Store Loss Prevention Associates. Develops necessary partnerships among the District and Store Executive as well as the Associate teams to heighten awareness to shortage causes such as theft, safety, inventory control, and operational execution. Salaried position reporting to a VP/Regional Loss Prevention Manager. Directly responsible for several District Loss Prevention Managers. Oversees the execution of shortage reduction plans centering around theft, safety, inventory control, and operational compliance. Develops and maintains partnerships across the Company to support Company sales objectives while minimizing opportunities for loss. relating to shortage, theft prevention, inventory control and safety. Conducts audits on operational procedures and quality control concerns.